The whole point of an alarm clock is to wake you up at the right time. But, what if it can do much more than rudely wake you up from sleep? This is where Sandman Doppler comes in. 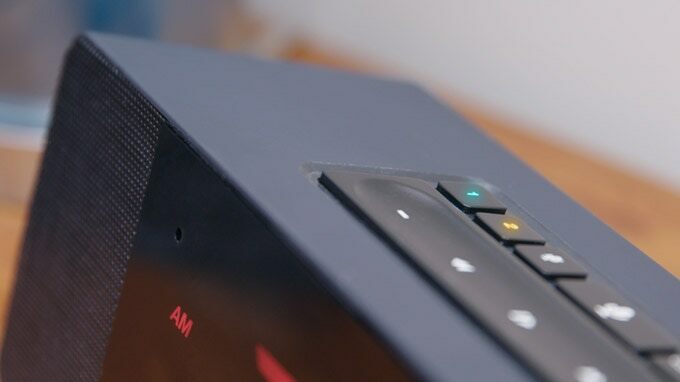 Sandman Doppler by Palo Alto innovation is a smart alarm clock that incorporates unique features that make it distinct from other alarm clocks in the market. 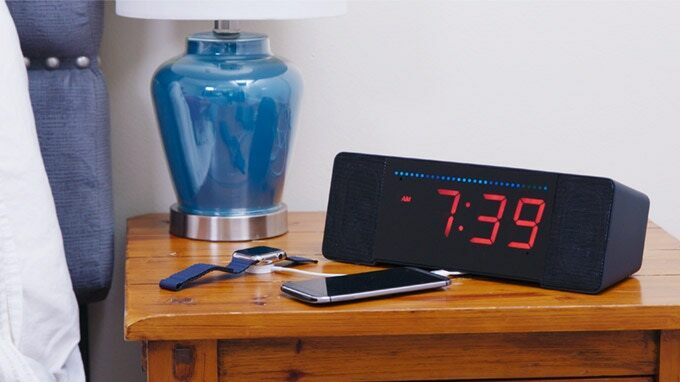 This amazing clock has smart controls and is an essential bedside alarm clock for every smart home. It is built to connect to the cloud-based Amazon Alexa. A feature that allows you to communicate with the clock directly, using your voice. You can ask it any question, or get news, traffic and weather reports from the net. It also enables automatic time sync. There are also other features that make this smart clock awesome. 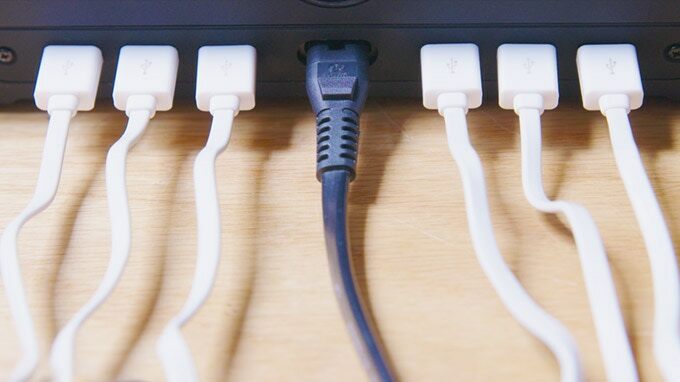 The clock is built with many USB cable ports that can charge other devices such as smart phones, iPod, and power bank. It makes it easy to charge your phones from your bedside, or any other comfortable position while still using it, without much wire mess. It also comes with features that allow music streaming and playback among other features. Amazon Alexa enabled: this feature allows direct voice communication that makes it convenient and efficient. Control buttons: it is easy to switch to physical controls when you do not feel like talking. Full range stereo speaker: the clock’s well-tuned stereo speaker allows you to play and enjoy good quality music. 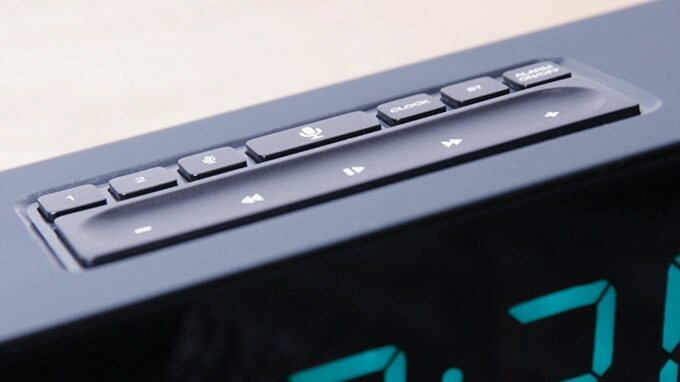 Bluetooth features: with the Bluetooth feature, the smart clock can connect to your phone easily, allowing you to stream music to the stereo speakers. Dimmable LED light: Sandman Doppler comes with a backlight that automatically comes up as the room gets dark. The backlight likewise is dimmable and can be completely turned off at night if not needed. Multi-color RGB LED: you can customize the clock’s screen to any color that suits you using this feature. 6 power USB cable ports: Sandman Doppler is fitted with 6 USB cable ports that make it easy to charge your other devices without all the wire mess. It has the capacity to charge smart phones, iPads, power bank and iPod, all at the same time. The USB ports are also removable in case your device uses a USB-C.
Control app: being a smart clock, Sandman Doppler comes with an app. The App controls every aspect of the alarm clock. It also allows you to set the clock even when you are not at home. 1.8-inch digits: most importantly, the time display can be easily seen. It can be used worldwide because of its dual voltage. It can set multiple alarms for different days. It has a large display that is automatically visible at night. The clock has illuminated buttons that are easy to spot. It is stable and cannot be easily shifted on the stand. It has voice and button controls. Considering its benefits, it is good value for money. Doppler is Alexa dependence, meaning if operate outside of US, UK and Germany, you may not able to use to its full potential. The system is still in beta testing stage, early supporters may face some unforeseen issues. Would I use the Sandman Doppler? Of course, I would. Who wouldn’t want a smart bedside buddy? This is an alarm clock that lets me charge my phone while using it. Not just that, it makes my life quite easy with its innovative Amazon Alexa feature. 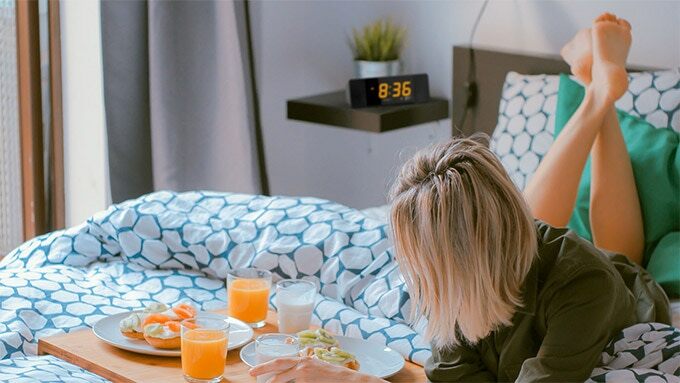 Obviously, this smart clock is a big change from the conventional alarm clock that constantly incurs my ire every morning. The developers seem to think that Sandman Doppler is the best alarm clock in the world, and I agree with them. There is no other product like it in the market, and from the many backers it has gotten already on Kickstarter, many people agree too. The only challenge I perceive for this product is its cost. 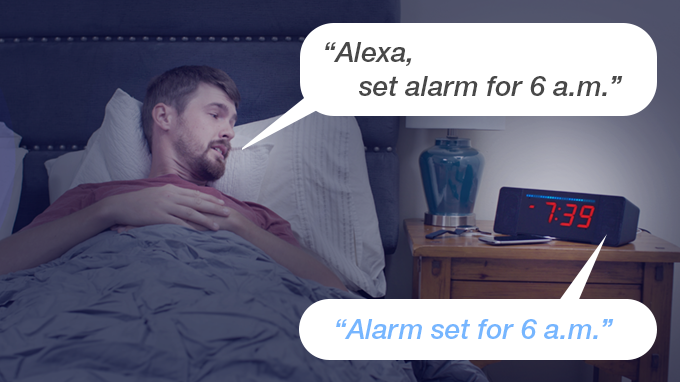 It is more expensive than a conventional alarm clock. 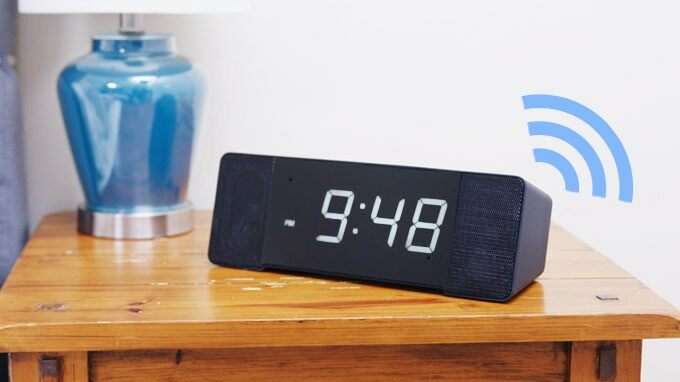 While a few people would consider $119 appropriate for all the extra features on the clock, there are still a lot of people who are not ready to shell out that amount of money for an alarm clock. This product is durable and will last a very long time. It is made from the finest grade of materials that ensure that it is built to last, and therefore durable. 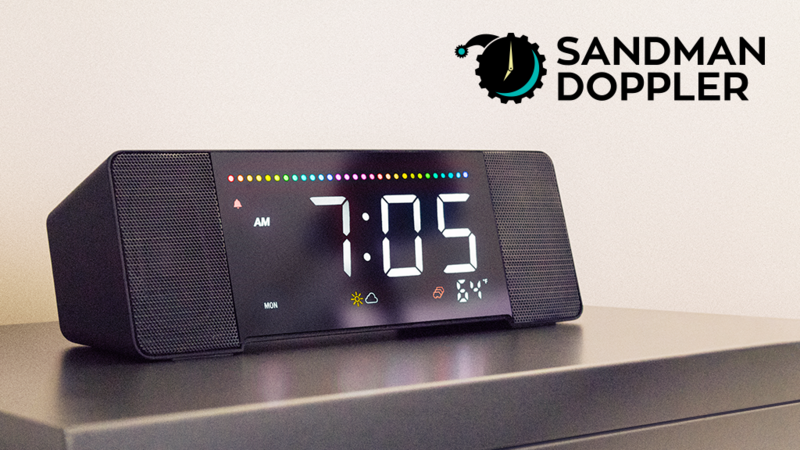 Want an alarm clock that will keep you notified whenever you need to, then buy the Sandman Doppler alarm.